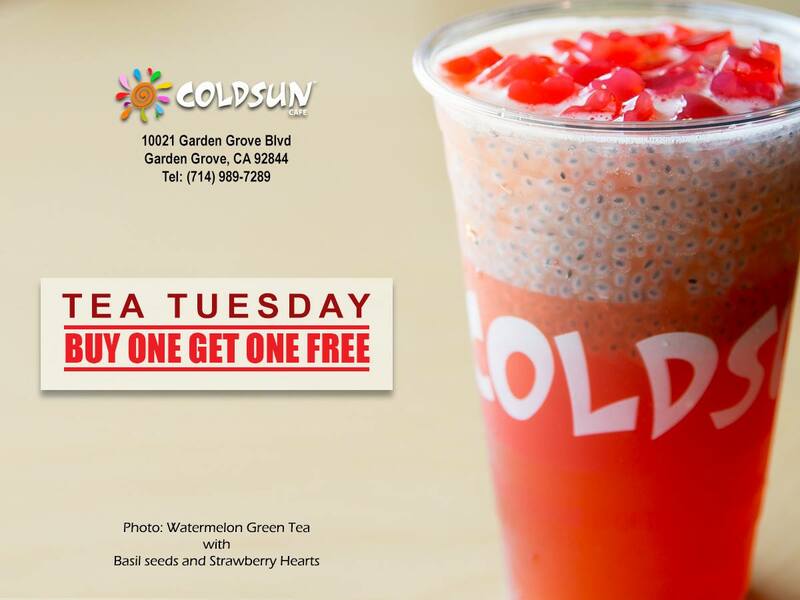 Every Tuesday | Buy 1 Get 1 Free Drinks at Coldsun - Garden Grove - EAT WITH HOP! Coldsun in Garden Grove has a new promotion! BOGO FREE DRINKS EVERY TUESDAY! Coldsun specializes in liquid nitrogen ice cream and drinks (typical boba shop drinks like fruit teas and milk teas). Every Tuesday, buy any flavored tea and get another tea free! *Deal is valid in-store only.